Married to the mob is a term of endearment here – capturing a part of the motivation behind the remarkable contributions of David Schleich, PhD to the naturopathic medical profession’s “mother ship” and to powering growth for the naturopathic profession in North America. 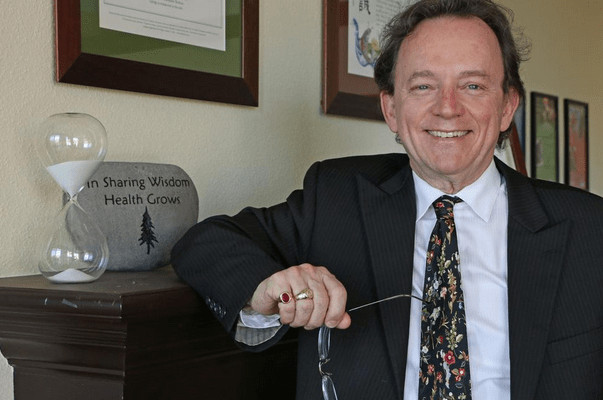 Schleich has presently served 11 years as president and CEO of what was, when he started, the National College of Naturopathic Medicine (NCNM). NCNM is legitimately the field’s mother ship: the school educated the founders of each the profession’s 7 other North American colleges. In his term, Schleich led NCNM to become the multidisciplinary, clinically expansive and research-engaged National University of Natural Medicine (NUNM). The university has announced that on July 1, 2019, Schleich will retire. His work for the naturopathic profession did not begin at the Portland, Oregon-based NUNM. Schleich previously served from 1996-2003 as president and CEO of the Canadian College of Naturopathic Medicine (CCNM). When he arrive, CCNM – a niche school at the periphery of higher education regulation – was struggling with 78 students, negligible assets, and a negative endowment. When he left 8 years later, enrollment was at 544, annual patient visits were pumped up from 1,240 to 9,885, and operating budgets from $989,000 to $10,340,000 annually. Campus assets jumped to an $18-million valuation after he led the acquisition of CCNM’s first permanent campus. 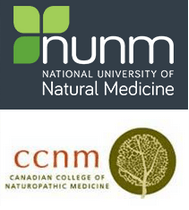 CCNM was the first Canadian naturopathic college to gain accreditation. The profession in Canada moved beyond survival mode. Schleich and his team provided the foundation for what is now a $40-million academic operation with a significant research department and nationally renown integrative oncology clinical program. Programs Increased NUNM program offerings from two post-graduate degrees to a total of 11, including three undergraduate degrees. Revenues Increased annual revenues from $14,900,877 to $22,440,853. Research Research grants at NUNM’s Helfgott Research Institute include a total of $3,092,898 in National Institutes of Health grants since 2015, tops among natural medicine universities and colleges. Clinical/Medical Homes Remarkably, NUNM’s array of clinical services includes two state-credentialed Tier 4 Patient-Centered Primary Care Home clinics and eight additional community clinics through offering some 30,000 patient visits per year. Physical Plant In 2011, the City of Portland approved NUNM’s 2012-2022 Master Plan, a five-acre campus with five facilities and other properties. External Financial Support In Schleich’s era, NUNM has seen an infusion of $16-million in cash and in-kind contributions. This may sound mundane. But in those still quite dark days for his field, each successful engagement with the powers that be was a historic breakthrough for the public’s option to have a doctor of natural medicine. Part of what Schleich found through his work at CCNM was a spouse. He met naturopathic physician Sussanna Czeranko, ND in 1997. They married in 2006, just before Schleich reentered full-time work with the naturopathic profession at NCNM. In Czerenko, Schleich found a partner who would distinguish herself in the profession for her work to re-awaken a connection to the profession’s roots. As Rare Books curator at NUNM, Czeranko has finished 11 books of a 12-volume series based upon the journals published early in the 20th century by the field’s founder, Benedict Lust. Ten of the books have been published, including Origins of Naturopathic Medicine, Philosophy of Naturopathic Medicine, Dietetics of Naturopathic Medicine, and Principles of Naturopathic Medicine. In his marriage to Czeranko, Schleich has been anchored to the profession and its roots, 24-7. Their son, Julah, graduated from NCNM in 2015. Which brings us back to “married to the mob” notion. 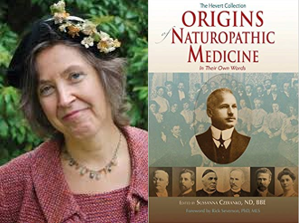 Schleich was the 2015 awardee as Champion of Naturopathic Medicine from the American Association of Naturopathic Physicians. He is one of several in recent years who share this trait. The award goes to a non-naturopathic doctor deemed to have had significant impact on the naturopathic profession. An extremely effective association director. A publisher of a key monthly. Another a writer and organizer – in this case, me! A kind of osmotic activity happens through that proximity, with the principles and passions of and for the field passing the external-soul barriers, uptaken and infusing one’s work. The high hopes and significant challenges for the field become those of and for the self. Such alchemy forged and tempered Schleich’s powerful contributions. Some of the growth is certainly era-related. Schleich’s time with each school has been during significant growth across naturopathic programs and a general uptake in the natural health professions for which NUNM and CCNM educate. The past two years have seen declining enrollments. Asked how it felt to be exiting at the time of what may be a difficult trend, Schleich noted that the demographics from Integrated Postsecondary Education Data System (IPEDS) “alerted the profession to this trough at the beginning of this decade.” There had been decreases in the rate of growth from 2002-2012 that stimulated NUNM to add to its mix of programs and keep the overall enrollment more robust. He notes that stand alone programs are expected to be hurting until 2021 when numbers of students moving from high school to university and from university to post graduate programs are expected to rise again. I had spoken with Schleich about his future not long before the announcement. He and Czeranko are both Canadians. She, in particular, has yearned to return. They have land where Czeranko has been cultivating dreams and built a clinic and retreat center on the shores of a lake known for its medicinal waters. Anyone who has known Schleich will know that he’ll not likely be settling down with Netflix as his constant companion anytime soon. He ticked off an exhausting list of projects, writing and entrepreneurial, that have been begging for years, to which he is excited to turn. Now he adds another area of likely engagement: “I am not exiting work with the profession actually, just changing gears. There are many places to do this work – fundraising, lobbying, writing, and speaking.” The marriage in all its dimensions will apparently continue.